Aubony Stuart - Along with her husband Granville, they had an unlikely, but nearly-perfect marriage during the time when Indian-white hostility was at its peak. A full-blooded Shoshone, Aubony settled easily into her mixed marriage. She and Granville had nine children and later they adopted and raised two children of his dead brother James. Eula Kendrick - She lived and dressed stylishly even on the frontier. A friend once commented that "her trim, erect figure sets off to perfection frocks which are always the last word in smartness and elegance." But she wasn't just a pretty face and fashion plate. She kept her husband's books before she shared his retirement at the Sheridan, Wyoming, home they called Trail's End. Elizabeth Iliff - Sold Singer sewing machines when her husband John met her trudging along a country road. She was the perfect wife for a cattleman, handling every crisis as it arose. When he died at 48, her first thought was to telegraph his ranch foreman to double the guard on the herds before rustlers could move in. Nellie Wibaux - had a flair that matched the one of her husband Pierre. Even though their first home was a log cabin with a sod roof, for Thanksgiving they prepared turkey, plum pudding, and mince pie. She hovered over the stove in an evening gown. He drank champagne with a flour sack over his stiff shirt and swallow-tailed coat. Agusta Kohrs - ran the domestic half of her husband Conrad's domain in decisive Teutonic style. She started by firing the cook and taking over his duties. Later, with the staff trained to her satisfaction, she made tours to Europe and anual visits to New York's Metropolitan Opera, which she attended the last time in 1942 (the year I was born) at the age of 93. Mary Ann Goodnight - We know about the Goodnight cattle trail, but we don't often hear about his wife. She was as tough and patient as her husband. She waited until age 31 to marry, when Charlie had established his Colorado spread. Later she helped him get through his financial crash. Eventually, she presided over their Palo Dura (Texas) spread, where she was the only white woman for hundreds of miles around. I found this information in the Time-Life The Old West series, The Cowboys when I was doing research for some of my books. Photographs of these women show many of them to be quite lovely. The old West was hard on many women, but it also proved to be an avenue to wealth and a better way of life, even though it took a lot of work. When you leave a comment, tell us about the strongest woman in your life, who had an influence on you. 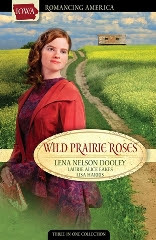 Tomorrow, I'll choose a winner of a copy of Wild Prairie Roses, a historical novel collection by Lisa Harris, Laurie Alice Eakes, and me. Hi Lena! Thanks so much for another interesting and curiosity causing post! It's made me want to know more about these women and others not mentioned in your post! The strongest woman in my life has and always will be my mother. She raised my brothers and I mostly by herself due to an emotionally and most of the time a physically absent father. She always taught us to put God first led by example. My mother is the Proverbs 31 woman and I hope to be half the woman she is one day! Plus when I went down the wrong road for a good decade and put her through the ringer-mentally, spiritually, financially, etc-she showed me (tough) love but never (killed me!) gave up on me, never quit praying for me and truly showed me a the Lord's love! Kam, thank you for sharing your story. God gave you a wonderful mother. Thank you for the giveaway. I guess I would have to say my grandma was one of the strongest women I knew. I was very close to my grandma and in some ways do things just like her. She went through different obstacles in her life and had her own business for a while then had two different business with my grandpa and they were all successful. Angela, what a legacy and blessing she gave you. My friend Lucy who has all 5 of the Collagen Vascular diseases, Lupus, Raynauds, Scleroderma, etc. and the Lupus has attacked her heart, lungs and kidneys so far but through it all she has never blamed God she has just asked him to help her use her health problems to spread his word and bring the people to him. Wendy, Lucy truly is the example of a strong woman. The strongest woman in my life was my grandmother, Mammy. She was a strong Christian who believed in prayer. She talked with God all the time and many times like He was in the room with her. She believed in me, and when I once made the comment that when I grew up I wanted to be a strong Christian just like her. I was around 10 and had given my heart to the Lord the year before. Her answer: "Honey child, you start right now believing, praying and obeying and the good Lord will see you through." I've never forgotten that and it has always given me strength to do "the next right thing." Martha, that bit of wisdom could carry all of us a long distance. Thank you for the interesting post. One of the strongest women I know is my sister-in-law. She struggles with a debilitating, chronic, extremely painful disease while supporting her husband and homeschooling her two children, most of the time from her bed. Through all of it she praises the Lord and is always searching for what He is trying to teach her, and how He wants her to serve others. Tamara, what a blessing for you to know someone so strong. I'm sure you're an encouragement to her. Hi Lena, thanks for finding all these strong women of old and letting us know of their times...I like reading stories of women like this. My Mom was a very strong woman-she lived in a time that she married Daddy and lived in small homes with no water or electricity, little to work with to raise a family yet she and he raised 9 of us. they had gardens-canned much and washed and ironed clothes the hard way, using lines outdoors instead of dryers like we have. As we grew we all knew we had chores to do and did them...we stayed home did not go far from home. we had no phone in house untill most were grown and gone. I am thankful for all the choices I have today. Hi Pam, I highly recommend those Time-Life Old West books. They're out of print, but can be obtained through Amazon. Enjoyed the great post!! The strongest woman in my life is my Mother. She made sure I had everything I needed and some wanted things. Always made sure I was at church and any church function for my age. 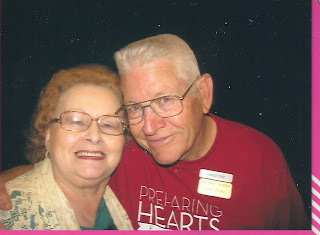 She listened, cried with me, was joyful with me, and always prayed with me. I've never married and really Mom is my best friend. I'm now disabled because of a medical error that cannot be corrected with serious complications. It's been a nightmare, but she's been with me all the way. She tells me I'm her rock too. Many times in the wee hours of the morning, I would hear something and it would be Mom on her knees praying. My brother and I always say how very blessed we are that God gave us our Mother. Thank you for entering me in your giveaway. Barbara, your mother sounds like a real rock in a hard world. I praise the Lord with you for her presence in your life. The stongest woman in my life was my mom. She did everything for us and everyone around her. She was amazing. Taught me to always help with the dishes after a meal prepared for us. I sure do love her. She is 94! and still asking me why I don't sit down and rest, or would I like something to eat. I would love to win WILD PRAIRIE ROSES. Sharon, your mother sounds wonderful. seeing her reading her bible and all of us having fun in spite of all the work she must have had to do. Eliza, I love your email address. My grandmother had the strongest influence on me. I loved her dearly. She never complained, though her life was not easy. She worked very hard, yet was lovely in an evening gown. She was somewhat reserved, but has a ready laugh. She was a wonderful role model. I miss her. KayM, we all need a role model like your grandmother. Great article Lena. I so admire strong women from all walks of life. There are so many strong women in my family so I would be hard pressed to single out any one. Yet, my mother was a very strong woman who I feel was never fully appreciated but I sure saw it in a thousand ways mainly how sacrificial she was to my sister and me.